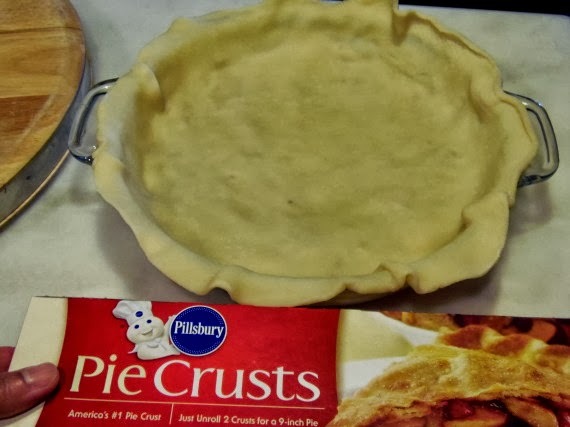 With this recipe, I refused to give myself the opportunity to mess with the pie crust, and I used a frozen variety instead. There are some really good ones on the market and they really cut down on the preparation time when baking. Just remember to thaw them properly so they’re easy to work and you’ll have the results you’ve always dreamed of when it comes to a nice crust. 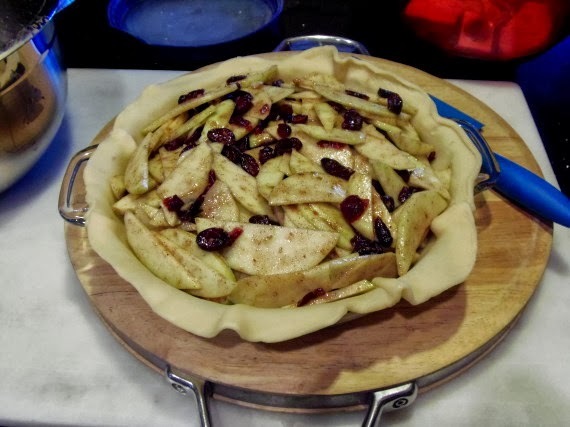 This pie is really simple to make so take advantage of apple season and get baking! The presentation of this pie is really pretty, and the topping (make that the bottom, no wait, it really is the top), is nothing short of a buttery, caramel pecan delight! 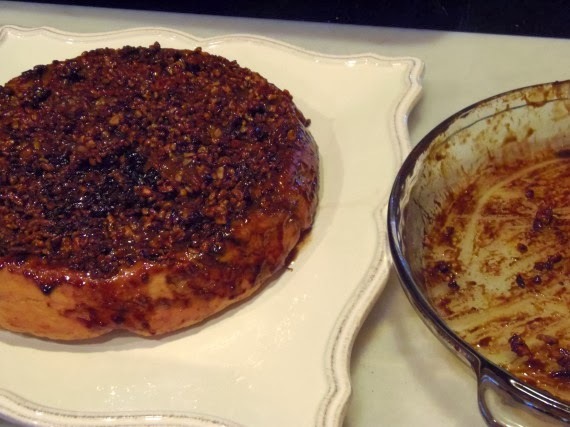 I have to give credit where credit is due: this recipe was slightly adapted from www.allrecipes.com (submitted by: louc4). It’s the right thing to do and I would hope others extend me the same courtesy if using/and or adapting any of my recipes :). Enough with my stint on the “Karma Police”…time to get baking! 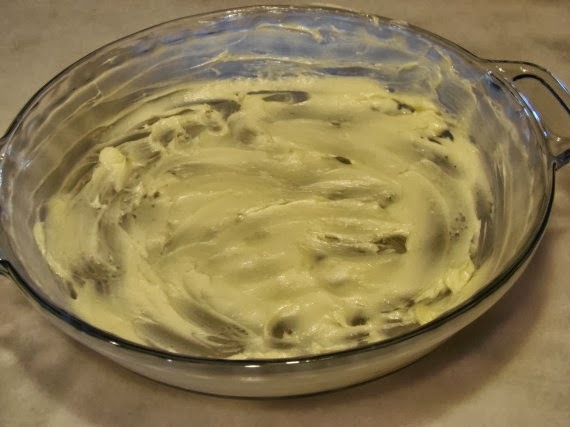 -Spread the butter evenly over the bottom of a 9″ pie plate. Press the chopped pecans into the butter and then evenly cover the butter and pecans with the brown sugar. Pat down. 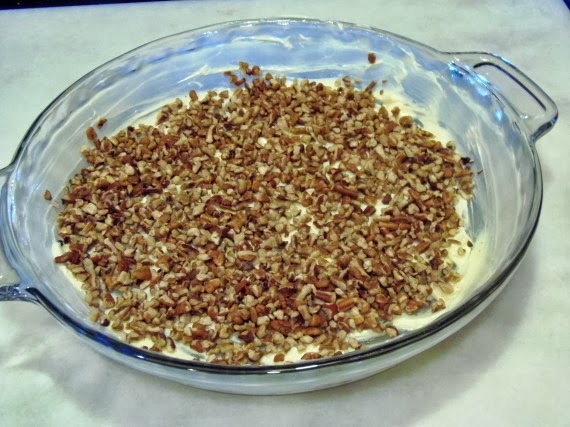 -Carefully lay one of the pie crusts evenly over the pecans and brown sugar mixture and set aside. -In a large bowl, stir the apple slices together with the lemon juice, flour, granulated sugar, cinnamon, nutmeg, salt and cranberries. Mix well. 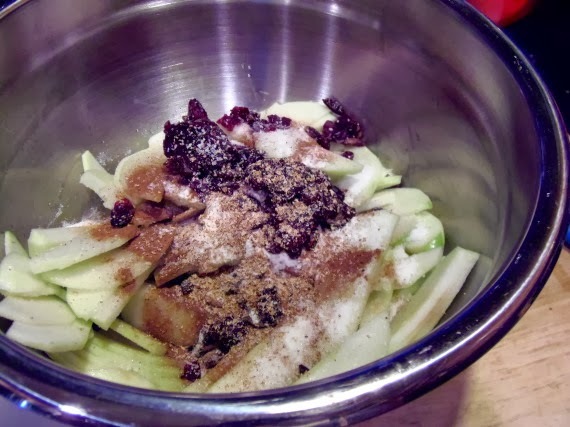 -Mound the apple mixture into the prepared pie pan and cover the apples with the second pie crust. 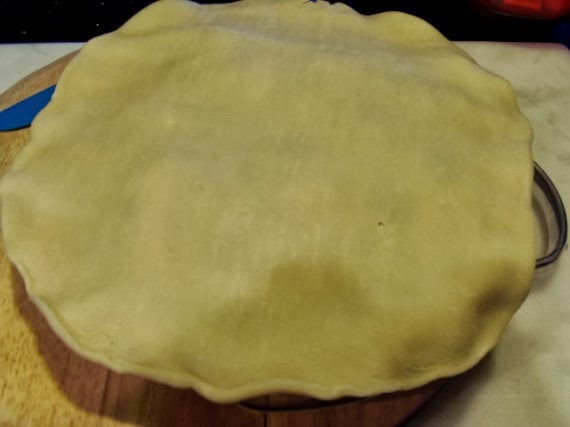 -Crimp or fold the edges of the pie crust inward, pressing to adhere the seams. Cut steam vents into the top of the crust. 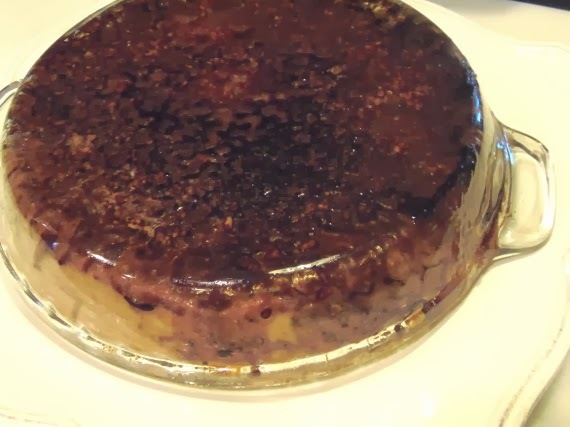 -Bake in a preheated oven for 50 minutes. 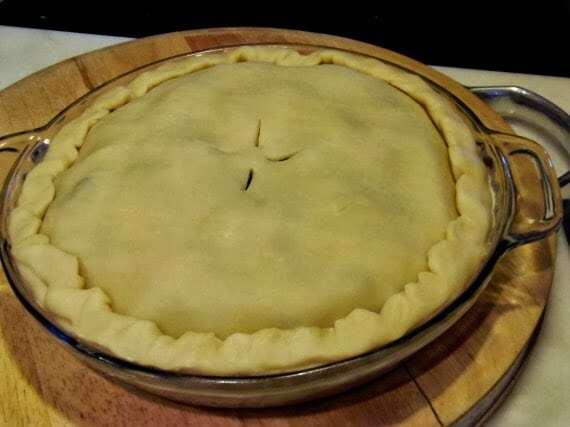 -Remove the pie to a cooling rack and cool for 5 minutes (but don’t wait too much longer than 5 minutes or the pie will cool too much making it hard to invert the pie). 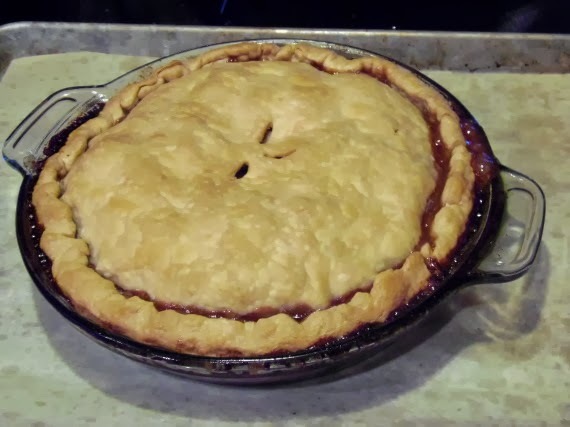 -Place a serving plate over the pie and carefully and quickly invert the pie onto the serving plate. -Allow to cool further and serve either warm or cool. 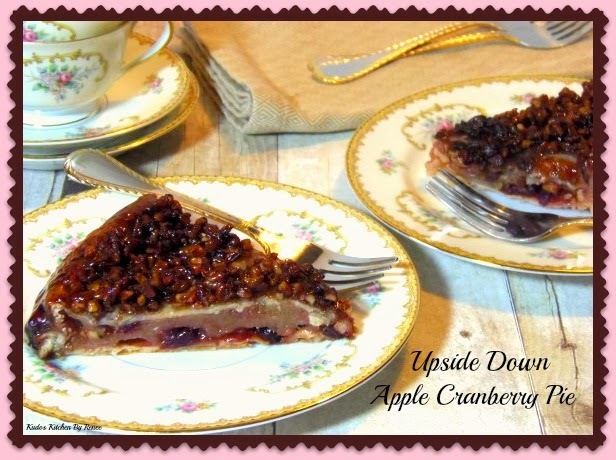 This Upside Down Apple Cranberry pie would make an excellent addition to any Thanksgiving table, but don’t forget to add a dollop of whipped cream or maybe a little cinnamon ice cream! Now, who wouldn’t be thankful for that? 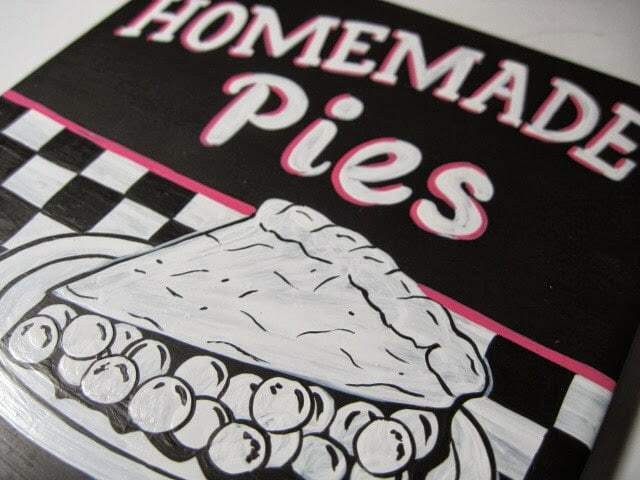 After all…homemade pies are the best (even if you don’t make your own crust)!!! The above photo is of one of my 6×6 hand painted ceramic tile trivets. Thanks for visiting me in my Kudos Kitchen ~ Where food and art collide on a regular basis. I've never seen an upside down pie…ever! 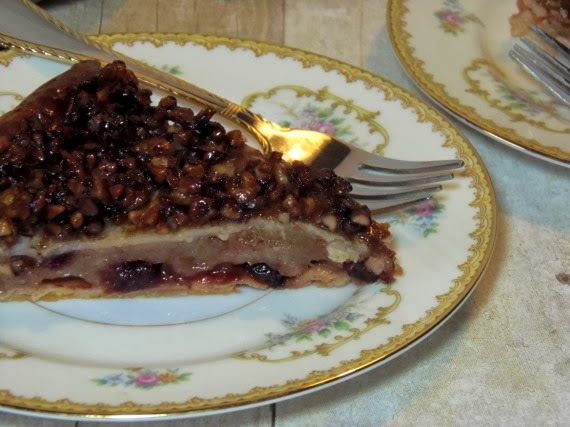 This pie bottom or rather top, of pecans is right up my alley as is the apple filling! I'm delighted to see that dried cranberries are used. I love dried cranberries but I don't like fresh nor canned. Wierd, I know. Looks like a very lovely dessert and quite a conversation starter as well. Thanks Paula! The trick is not to leave it sit too long before it's inverted. Otherwise, with all the caramel, if it cools too long its like its glued into the pie pan. I'm glad you're going to make this Paul. Please let me know how it turns out for you. Enjoy!